Technology serves as a powerful cognitive tool that supports transformational teaching and learning. 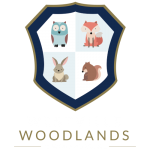 Through the purposeful and natural integration of digital tools Westville teachers develop innovative and individualised learning for the children. Westville fosters intellectual curiosity, collaborative skills and critical thinking through a variety of means. Technology supports the endeavour, providing an ecosystem that enhances a child’s learning. Laptops, interactive whiteboards, tablets and applications become a catalyst for their development. Applications such as Table Rockstars and Class Dojo connect home and classroom, increasing the time spent enhancing a child’s skills, improving communication and promoting reflective learning.